Thank you for supporting our 2019 Tournament. Check back in October for updated 2020 Nike Futsal Championship information. For IMPORTANT tournament news, please go to the TOURNAMENTS UPDATES page. The Nike Futsal Championship is a great way for players to have fun and keep up their skills in the off season. This highly competitive tournament is hosted by one of the nation’s premier soccer clubs, Concorde Fire Soccer Club. Please join us at the beautiful LakePoint indoor facility on January 5-6, 2019, for the 3rd annual Nike Futsal Championship! The Nike Futsal Championship is an Unrestricted tournament. All affiliations may apply. 5 v 5 Futsal with two 22 minute halves and a 5 minute halftime. Competition format with 3 guaranteed games. * 22 fields in one location! * Indoor shoes or sneakers ONLY. No cleats or turf shoes. 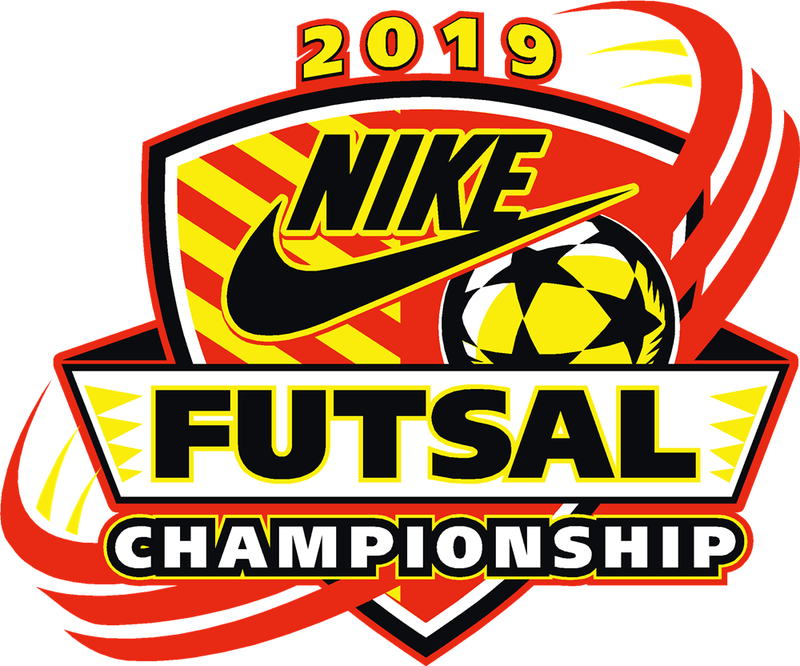 2019 Nike Futsal Championship Tournament Apparel can be purchased on site. Shirts in a variety of styles will be available at the venue. Thank you for supporting the 2019 Nike Futsal Championship tournament hosted by the Concorde Fire Soccer Club. The following documentation will be required to check in. For more information, click on the INFORMATION tab and then the CHECK-IN link. Teams must send the required credentials to rachelhobson@concordefire.com prior to 1/2/2019. You can find these documents under the INFORMATION tab --> DOCUMENTS.